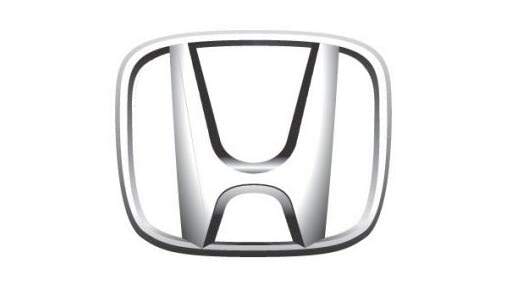 The Auto Locksmith can cut or program replacement Honda keys for most models including the Honda Accord, Honda Civic, Honda CRV, Honda FRV, Honda HRV, Honda Jazz, Honda Prelude and the Honda S2000. Our auto locksmiths use specialist diagnostics equipment to program Honda transponder keys. The Auto Locksmith car key replacement service is available to the general public and motor trade throughout London and the Home Counties of Berkshire, Hertfordshire, Surrey, West Sussex, Essex, Kent and Middlesex. Take a look at how we replace Honda Jazz keys. All Honda keys are cut and programmed at your vehicle. Our car locksmiths can cut a key from the door lock and program a transponder chip by extracting relevant information from the car’s immobiliser box. Honda car keys are very straight forward to program. Early Honda models (pre year 2000) use a red key system. The red key is required to program new keys. However, you also need to have the other 2 keys originally supplied with the vehicle. It is important to note that the red Honda key should never be used to start the car as this may cause permanent damage. It is a master key only. If you have lost your master key there is no need to worry as The Auto Locksmith can program new Honda keys without the master key. With newer Honda models, the dealers are given the key numbers and they tend to be good at keeping them on file but they can’t cut or program duplicate keys. They still have to be ordered in and will often take a few days to arrive. The Auto Locksmith can obtain the key number from the dealer in advance which means that we can cut replacement keys before we even get to you. All that has to be done at the roadside is the programming of the keys to your Honda. On models where key numbers have been lost we can cut keys from locks. Need to Replace Lost Honda Keys? If you have lost or misplaced your Honda keys, The Auto Locksmith can supply you with new ones at a fraction of the price that a main dealer will charge. If you opt to get replacement keys from the dealer, you are going to have to get your car to the dealer’s garage which could be expensive. We save you time and money because our service comes to you. If you have bought your Honda car second hand, it may have come with only one set of keys. The Auto Locksmith recommends that you have at least 2 sets so that if you break, lose or misplace one, you have a back-up set. We can provide you with replacement keys, cut and programmed at your car while you wait. We don’t have to have the red master key to do it. After searching my house for a few hours I finally found my car keys but thought that it was probably a good idea to organise a spare set before I totally lost them and got myself into an expensive situation! I came across the details of the auto locksmith and made an appointment for a locksmith to cut me a spare key for my Honda civic. The auto locksmith gave me a competitive quote and were very professional to deal with, calling me to confirm the appointment and also calling me when they were 30 minutes away. I would highly recommend the auto locksmith, they provide an effective and reliable service.